As my friend and I were talking about how we often fear for the health and safety of our children, I told her that after losing Silas, I was terrified that a normal, ordinary moment would turn into the worst moment of my life…again. Now, I could usually talk myself through these fears and differentiate between which were rational and which were irrational. But, the logical approach still couldn’t ease my fears because we lost Silas out of nowhere, unexpectedly, in a controlled medical environment with all the equipment needed to stabilize his life. I knew trusting in God was the answer. I tried. I didn’t want to hand everything over to Him, think I could block out my fears and become ignorant to the situations that need attention and quick action should one happen to us. But, the hyper-vigilance the fear created was exhausting and I didn’t have the stamina to stand guard every moment of every day. I was in constant “fight or flight” mode and no one’s nervous system should be taxed like that. Finally, I asked God to give me peace in the moments that were fine, but to allow me to know with absolute certainty when something was a true emergency. I started to be able to trust and hand over the fear knowing that He would help me in those times. So often, I wonder what I would’ve done if we’d been at home when Silas slipped away. Would I have had him in my arms like I did at the doctor’s office that day, or would I have looked at him in his bouncy seat and seen my worst fear? Would I have been helping one of my other children and been unaware that he was leaving us? When would I have known it was necessary to call 911, because, when I handed him to our doctor that day, he was still breathing, but something just didn’t feel right. I didn’t know he was dying, and that alone causes me fear of possible emergency situations. 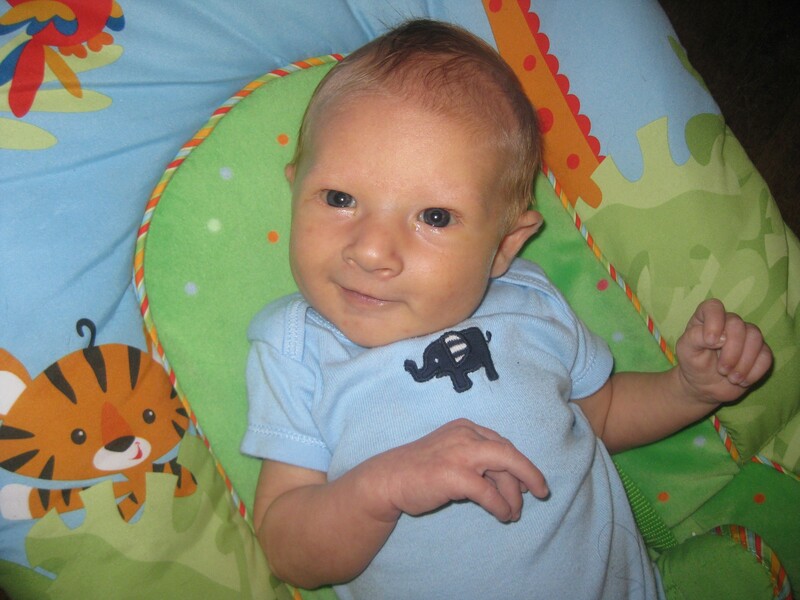 For months and months I wished I had taken Silas out to the doctor just moments sooner, thinking I had dropped the ball, that I had missed the window of time in which he could have been saved. I felt like I had failed him because I lack medical training. Tonight, as I was thinking back on these thoughts, I wished that before that day, I had known to ask God to help me to recognize a true emergency. But you did recognize and know something wasn’t right. Not only did I show you that, but I placed you in the doctor’s office that day. I have always felt as though God held us in the palm of His hand and protected us by placing us in the office that day. Many friends have said we couldn’t have been in a better place or in more capable hands at that time and that they were so grateful we were there that day. Being there allowed us to have every reassurance that everything that could’ve been done for Silas was done. It assuaged a small piece of the unfounded guilt I felt. I knew that Silas had been taken home by his Heavenly Father. I just didn’t know why. Tonight, I saw that providence had not only placed us in the doctor’s care that day, but that God was also answering a prayer that I would ask of Him in the future, for He helped me recognize the need for help while providing that help for us. 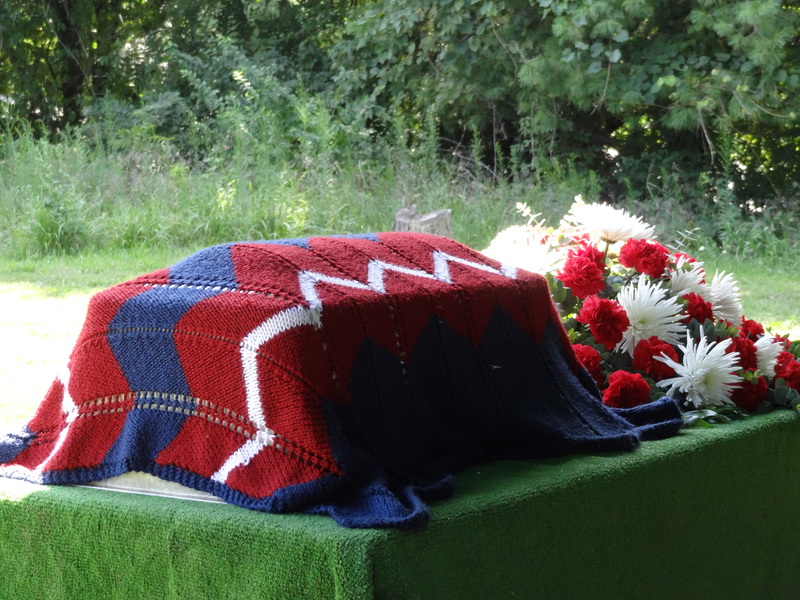 One year ago, August 17th, we said goodbye to our son for the second and final time. Our friends and family surrounded us as we faced the second hardest day of our life. The outpouring of love and support given to our family at this time was truly amazing, and I am forever grateful. I am grateful that we were not the only ones standing there brokenhearted. My heart was touched by the love shown for Silas and for us. We were not alone in our grief, and we still aren’t. I still don’t understand why one so precious had to leave so quickly, so suddenly, but I do know this: The hearts that shattered the day he died bonded the broken pieces together in love and sorrow for our family. People are capable of great love and compassion in times of tragedy, and it is one way in which beauty can rise from the ashes. 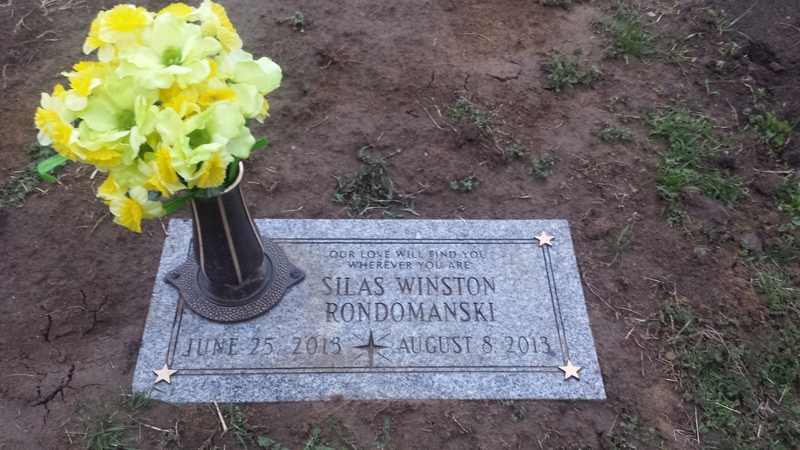 In the days leading up to his funeral, God brought to mind the blessings Silas had brought to my life. I couldn’t believe I could see the good in the midst of intense grief. Each blessing proved to me that the pain of losing him was worth the blessing of having him, and my love for Silas grew even more. 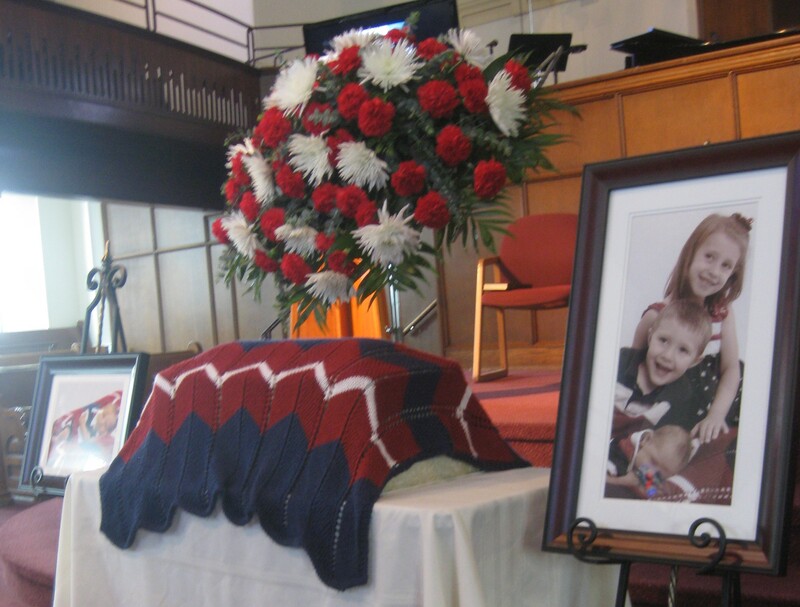 As our friends and family came through the visitation line during the hour before Silas’ funeral, I could see the pain and grief in their eyes and in their tears. They tried to keep their tears at bay for my sake, but how can you when you see a mother and father standing there without their child? They were absolutely devastated for us. I just had to share why we were so blessed to be Silas’ parents. Their tears gave me the courage to stand and speak for my baby. Below is the video of my words for my baby boy. In the days approaching the anniversary of the day I wish had never happened, I realized that even though I wish with all my heart that Silas were here with us, a happy 13 month old boy, I have grown accustomed to carrying him in my heart. My arms still ache, but my heart is forever overflowing with love. I began journaling after I lost Silas. It helped me make sense of the sea of emotions I was discovering. I had never know such devastating loss before. I’ve chosen to share the following journal entry from last September because I often wonder what heaven is like. That is where my future with my son is. We are all moving forward in this life, but some of us are also moving toward reuniting with those who left us too soon, or those we never got to meet. Death has lost its sting. I have begun to realize my future does hold having Silas again. Lily always reminds us, too, that we will be with the baby we never got to meet, as well. When they told me my baby’s heart had stopped beating, I felt so much pain. It was like I was giving birth to him all over again. My heart and soul were torn from my whole being. My body tensed and wrenched just as it did in labor. The intensity was incomprehensible. I could hardly breathe. As I reflected on this moment, I wondered why his passing from this life was so similar to his coming into this life. I began to think there was a deeper complexity to God’s plan when Eve sinned and God said woman would suffer during childbirth. 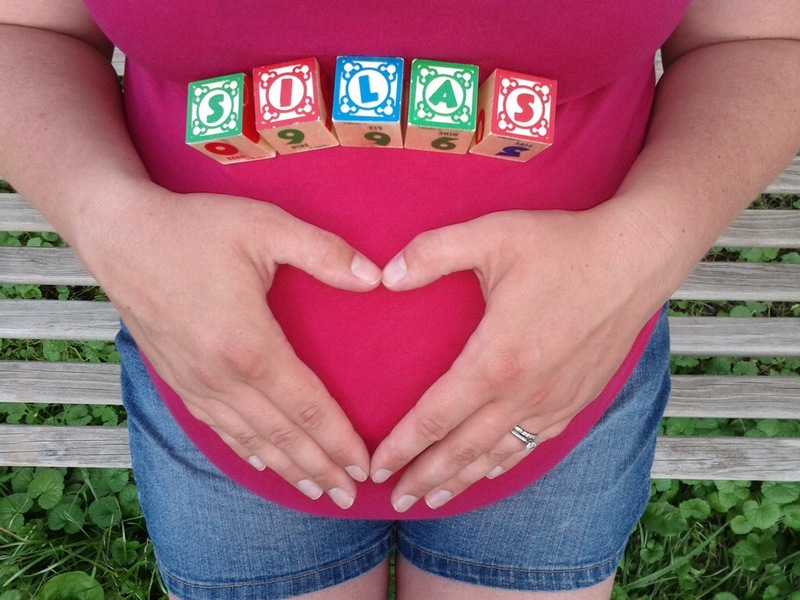 Natural childbirth is excruciatingly painful. 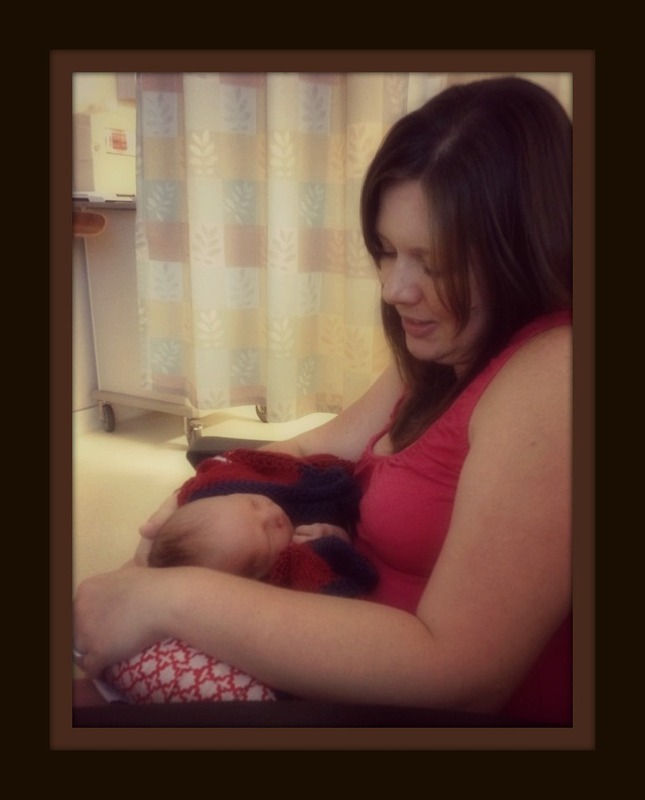 That pain faded quickly as I heard my baby cry and as he was placed in my arms. Joy replaced pain as he entered my life. When he left my life, intense pain filled my body. But, I wonder if it was followed with joy in heaven as he entered his new life. This is the last photograph I took of Silas. He was exactly six weeks old here, and we lost him two days later. You can read the story of how we lost our little man here. 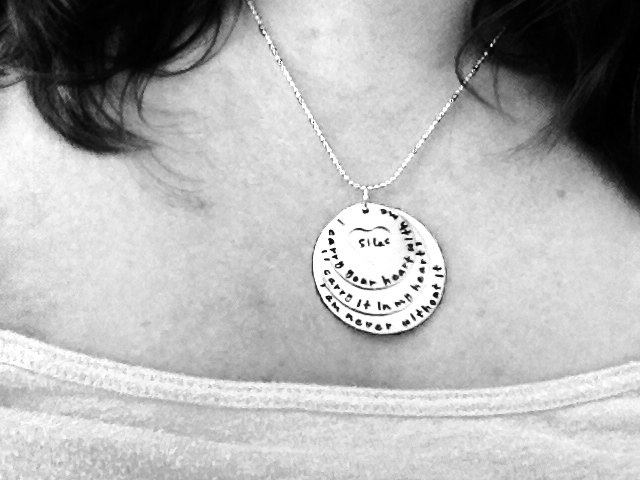 ***I purchased the above necklace from StampedbyDesign to remind me I always carry Silas in my heart. Another month. Nine in all. Today, I remembered holding him for the last time. I remembered the questions my heart asked. In disbelief I looked at him and thought, how did you suddenly slip away? How did your precious spirit leave your body? In my heartbreak, I didn’t understand how he could leave, because I felt as though I was dying, but my body couldn’t and wouldn’t release me. I looked at my son, my precious baby who had only just come to us from above and realized, he was so fresh from heaven that he recognized it and accepted going home. I could finally see that I have feared death because I have been separated from heaven and have forgotten what awaits at the end of this life. Having been in the world so long, I’ve fought against death for I feel unworthy to ever return because my sin separates me from God, even though I know the price has been paid. 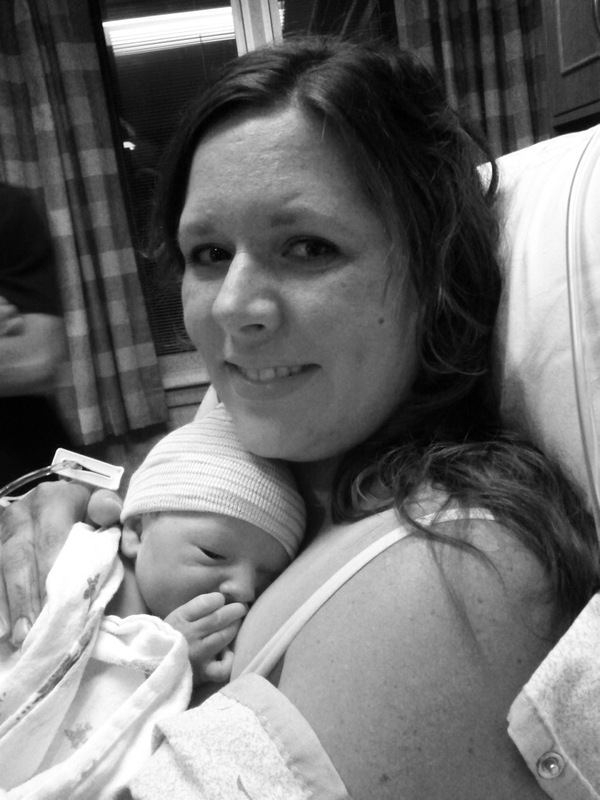 In that moment of profound grief, I knew and understood Silas was okay and heaven felt so very real, so very close, and so very attainable for the first time in my life. My son was braver than I. With the spiritual purity of a child, he recognized home. That day, my son taught me not to fear death. He showed me that heaven’s doors are wide open. When we first lost Silas, I craved blocking out the world by listening to music as loudly as I could handle through the earphones of my iPod. The songs gave me moments to meditate and absorb all that had happened. 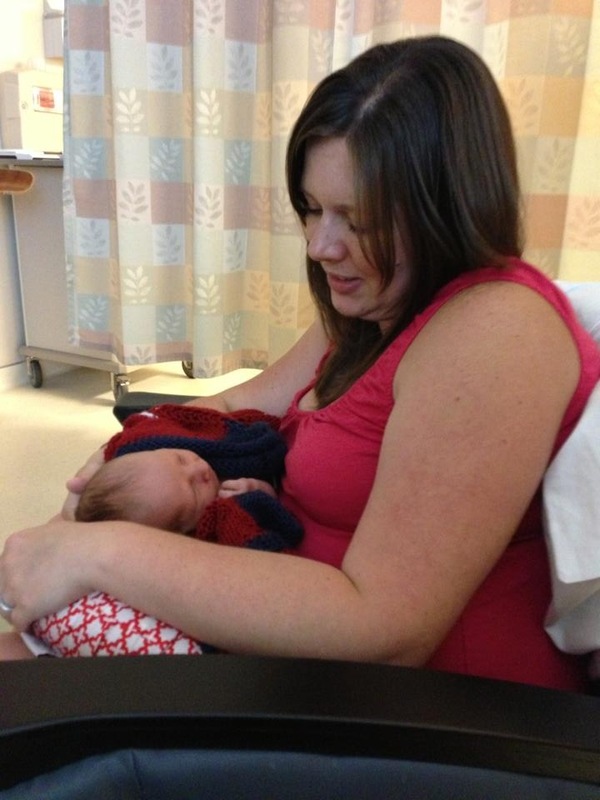 I listened to the songs that were on Silas’ birthing playlist–the ones I sang to him before and after he was born. I searched the internet for songs to which I could relate, songs that spoke of the heartbreak I was feeling. Whenever I hear of someone who has suffered infant loss, child loss, or the loss of a loved one, I want to share the following songs that brought me comfort, so I decided to write a post sharing all of the songs with their links and some of my favorite lyrics. ***Feel free to use the comments section to add any songs you may have heard that may be of comfort to those who have lost a child. My mom snapped this photo as I was singing “Hourglass” to Silas. It’s plain to see he really loved music. When Silas died, it was confusing to me that I was still here to live this life even when I felt like I could’ve died with him. No matter what life throws at us, we will live it anyway, and we will love life, even when it is hard. The words of this song really spoke to me as God brought to mind the blessings Silas had brought to my life. In such despair, the love for Silas shone brightly and even in the desolation of my devastation and grief, I was able to see the beauty of my love for my son. I clung to the thought of the beauty of his life still continuing to direct mine, even while we are separated. In the days that followed my son’s death, the grief was overwhelming and all-consuming. I felt I was drowning in it. But, then I would catch a glimpse of his precious face, still feel the weight of him in my arms, remember the downy softness of his hair on my cheek. Through these memories each day, I could come up from under the weight of my sadness and catch a breath of the life we had with him and the blessing he was, and I thanked God for the memories and the blessings. When I listened to this song after being wrapped in the beautiful memories, I bawled because even in my shattered state, I was so thankful to God for giving me my son…even if only for six weeks and two days. Wondering…I wonder what my baby is doing in heaven. I know he must be happy. I just wonder what it’s like. My husband loves to play this song for our children and we included it in our visitation music for Silas. 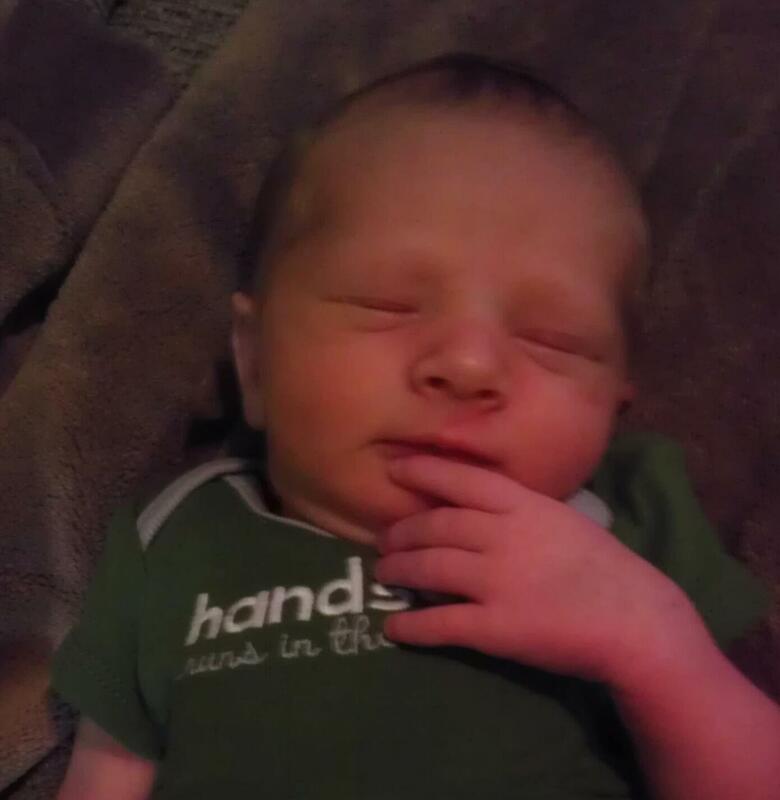 How fitting that Silas was our third child. One of my husband’s favorite artists and songs. I think of Silas and how he can do everything this song sings of from his place in heaven. You’ll just have heaven before we do. When you looked at me for the very first time? This song is on my heart often. Many times the memory of first holding my still son comes back to my mind, but it is almost like I’m watching a movie. I probably can’t allow myself to be in the moment, even in my mind, for that was the moment my heart shattered. The words in this song describe how some of that moment felt. When I felt I was disintegrating because of the heartbreak, I know God caught every single broken piece of me and held me. I went to this song often as my heart tried to make sense of losing our little boy. with Heaven’s love at stake and hell to pay. But you in God’s loving plan might be the missing part. So I give you to his heart. This song helped my heart realize, that even though Silas had been taken from us, I still needed to give him back to God. You can read more of my thoughts on this in my post. The bitter truth of childloss. I had heard this song when I was pregnant with Silas and wished I had known of it when I had suffered a miscarriage. I hoped I would never have a reason to relate with it ever again, but the night my baby died, I knew I would find this song and ask my friends to sing it at his funeral. In dreams I walk with you. In dreams I talk to you. In dreams, In dreams.But just before the dawn, I awake and find you gone. I can’t help it, I can’t help it, if I cry. Only in dreams In beautiful dreams. Beautiful song that leaves me yearning for my son and all the time we could’ve had. We included this song during Silas’ visitation. Another favorite of my husband’s and mine that we included during Silas’ visitation. And wake up where the clouds are far behind me. My husband was named after this song. He really wanted to choose a special song for Silas’ funeral, and this was the one he chose to share that day. I like to think that as this was played, his mom was smiling down from heaven while holding our son. And I thought of you. How will I shine anymore without your atmosphere? My dear stargazer, don’t disappear. How will shine anymore when you’re not here? I heard this song a few days ago on Pandora. The next day, my husband said he had a song he wanted to play for me. He told me this song came on his Pandora station as he was driving to work and was playing as he passed the doctor’s office where Silas passed away. He thought I would like to know that, and of course, I think it was really special. I told him maybe Silas was sending him a message as he drove by that hard place the other day. I sang this to Silas all the time. He always calmed and melted in my arms. I sang it to him in the moments before he died as he cried before becoming unresponsive. This song is still precious to me, though it is a trigger for my grief. For a moment, we are here together. We just get to hold it for a while. Or save it for another time. Oh, what do I know? Really, what do I know? Or the process for earning your wings. and from what I know of him, that must be pretty good. and from what I know of him, that must be very good. I absolutely love this song. I love that it doesn’t claim to know what kind of glory lost loved ones are now in. It asks my questions and reconciles our lack of knowledge in a gentle, calming way. Sitting in the hallway because they made me sit down. I know it’s taking too long. Desperate to run to the ambulance with him, but they aren’t coming out of the room with him. The secretary reminds me to breathe. My heart is pleading for his life. So many times in books and movies we see people bargaining with God. If He’ll just give them this one thing, they’ll follow Him all their days, they’ll give Him anything. I don’t feel we should bargain with God, but it crosses my mind. I can’t offer something that I may not be able to follow through with perfectly because this is too utterly important. I know I will fail my promise to God at some point. I have nothing to offer Him that is equal to my baby’s life. I have absolutely nothing. I know He knows this. I have never felt so desperate. I have never felt so helpless. I have never felt so unworthy. As I was driving in the car, I think to myself, there will always be a hole in my heart, because of the loss of my son. Then comes the thought, let God fill the hole. But, I know I’m not ready to hand over the hurt, grief, and sorrow, so I pray that I will be able to allow God to fill the void where darkness lies. I’m not ready to allow God to fill the hole because I don’t want to diminish the love I have for Silas by giving up the pain I feel in his absence. But, this void truly is darkness because it is filled with grief, sorrow, and hurt–wounds caused by this great loss. These wounds must be felt, yet be given the opportunity to heal. I begin to understand that my love for Silas is not in the dark hole in my heart; my love for him lies in the bright places of my heart. The beauty of my love for my son is greater and more powerful than the hurt. The love between mother and child spans the distance that now separates us. I ponder…if I can allow God to fill this dark hole in my heart, He will make my heart WHOLE again, and Silas will always be there. I am missing my baby. I am carrying Silas in my heart. I am allowing the love to heal my heart.